If you have been to a health food store recently, you know that there is a dizzying array of nutritional products available. With so many options, it can be difficult to choose which one is right for you. As you peruse the vitamin section of your favorite store, you will likely see many names that you recognize. You will also see many brands that are unfamiliar. Companies with lengthy histories or aggressive marketing plans are more likely to be familiar, but are not necessarily the highest quality product or the best choice for your particular needs. Researching the many options available will help you make an informed choice when selecting nutritional products. There are a number of valuable products on the shelves that can improve your health and well-being, but not all deliver the promised benefits. If you suspect that a given product is a scam or even harmful, it is always best to do some research before making a purchase. Fortified foods are food products with added nutrition. Nutrients are often more easily absorbed from food sources than from supplements, and eating your nutritional products is certainly more enjoyable than swallowing pills. For example, you can enjoy fortified cereals to enhance your intake of nutrients in the form of a meal rather than as a pill or capsule. As with other products, not all fortified foods are created equal. To get the most out of fortified foods, check labels carefully to be sure your choice is not laden with sugar or sodium along with the extra nutrients. While there are many trustworthy companies out there, there are also many that you should beware of. Any company that promises miracles should be approached with skepticism. Products that promise to cure illnesses like cancer or fibromyalgia usually do little more than lighten your wallet. 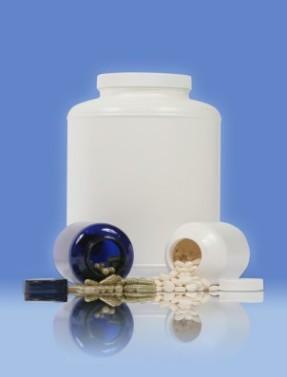 Always exercise prudence and talk to your doctor before you buy nutritional products. These products can offer tremendous benefits, but any substance with the potential to alter your health should be treated with caution.